The care of a yard may seem overwhelming if you are working full-time or are over age 65. Grass-covered front yards require frequent watering and mowing. 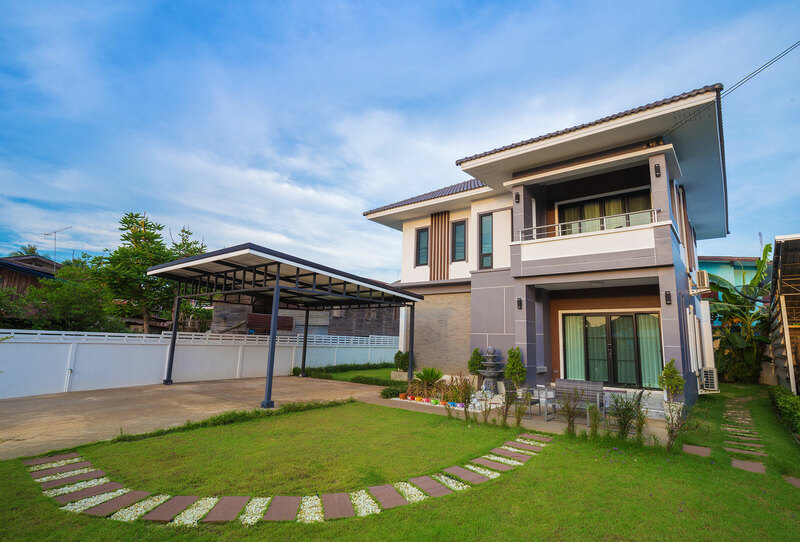 Especially if you are planning to sell your house, investing in intensive care of a front yard may seem like a financially-draining way to increase your home’s value. Yet, creating a visually-appealing front yard that is also low maintenance is possible with the combined use of strategically-placed perennial plants and decorative rocks. At MDI Rock, you can find a wide variety of decorative rocks and pebbles. Described below are ways to incorporate decorative rocks and pebbles into plant-based landscaping designs in your small (or large) front yard. A species of plant in the asparagus family, Desert Spoon – also referred to as Common Sotol – is is often used in ornamental landscaping designs in the Southwest. Flowering in the summer months, this bushy plant has greenish-white flowers and spikey, dark-green leaves. As a Southwestern plant, it is well-suited to harsh, dry conditions (per MyGardenLife.com). MDI Rock carries decorative landscape glass (as well as rock and pebbles in various colors) that can be placed around each Desert Spoon plant for a simple (but elegant) front yard design. Native to South Africa, Lesotho, and Swaziland, this trailing plant has daisy-like flowers (in orange, yellow, or red) and succulent foliage – which makes it as equally ideal for a Phoenix front yard garden composed mainly of decorative rocks and pebbles as Desert Spoon. Due to its bright flowers, surrounding it with landscaping pebbles of brown hues may make the most sense. Why Choose Angelita Daisy for Your Front Yard? Thriving in dry, rocky soil, the yellow-flowering Angelita Daisy is a native western wildflower that is extremely hardy, but requires well-drained soil. Its ability to survive temperatures up to 105 degrees Fahrenheit makes it an excellent choice for an Arizona yard’s ground cover. If the color of your house does not look attractive with so many yellow flowers in your front yard, use more landscaping rocks and fewer Angelita Daisy plants. By augmenting just 6-8 suitable, perennial plants in your front yard with the diverse landscaping rocks available at MDI Rock, you can maintain a visually-appealing garden with a minimum of care.